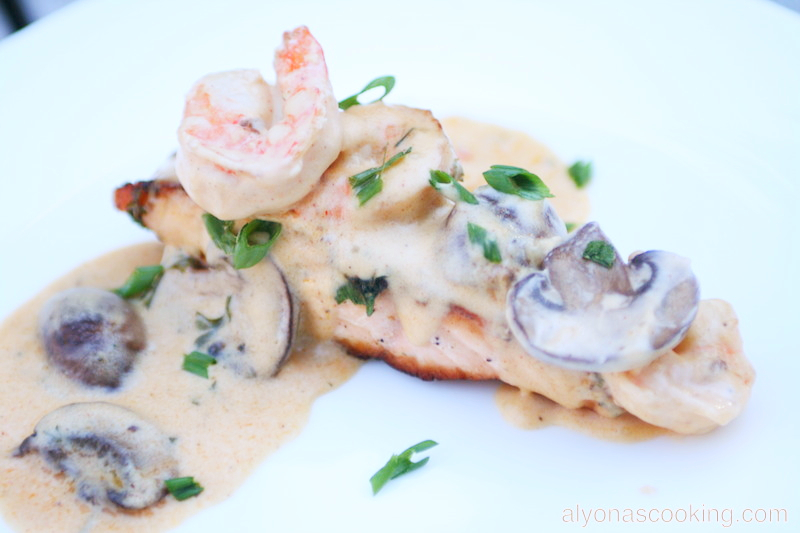 I’m not really a big fish eater, but Salmon with a Seafood Shrimp & Mushroom Alfredo taste amazing! 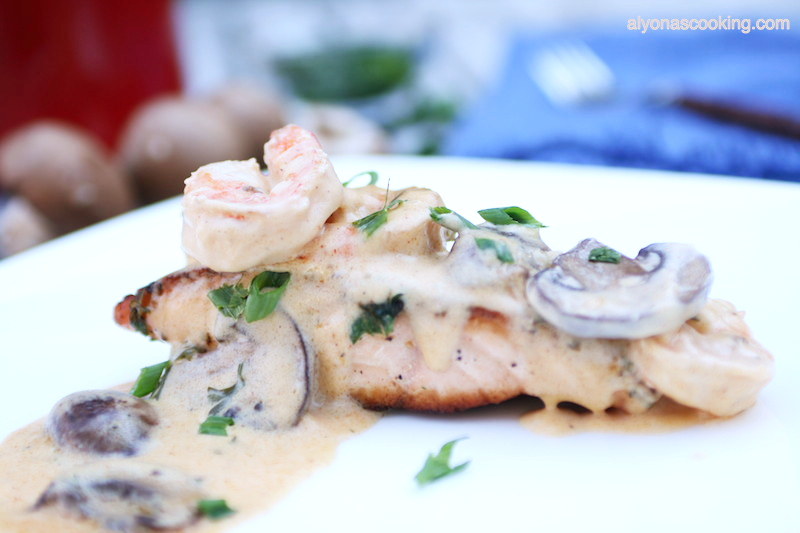 Atlantic salmon fillets are seared, then topped with a creamy alfredo sauce and it makes an absolutely delicious meal. In a medium sized bowl whisk 3 tbsp olive oil, 1 tbsp fresh parsley, 1/8 tsp of salt & pepper, 1/8 tsp old bay seasoning and 1 tsp of soy sauce. 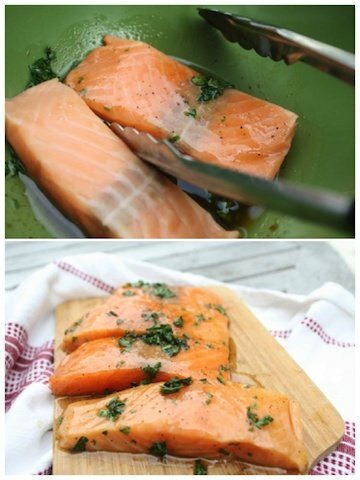 Add washed and patted dry salmon fillets and allow to marinade while you prep other ingredients. 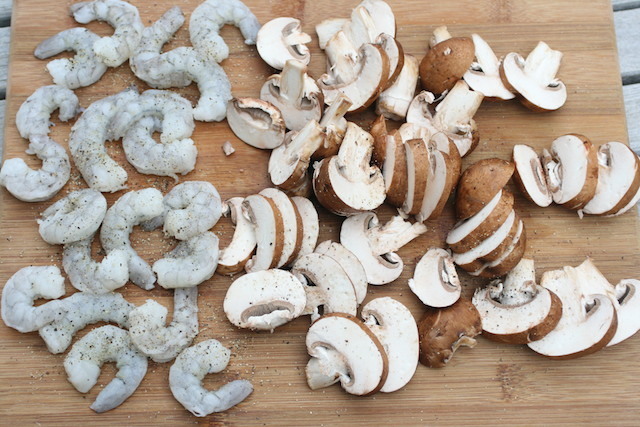 Shell or remove the tails from the shrimp and slice cleaned and patted dry mushrooms. 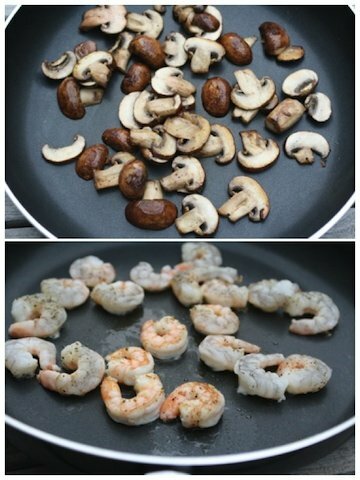 Season both shrimp & mushrooms with salt and pepper to taste. 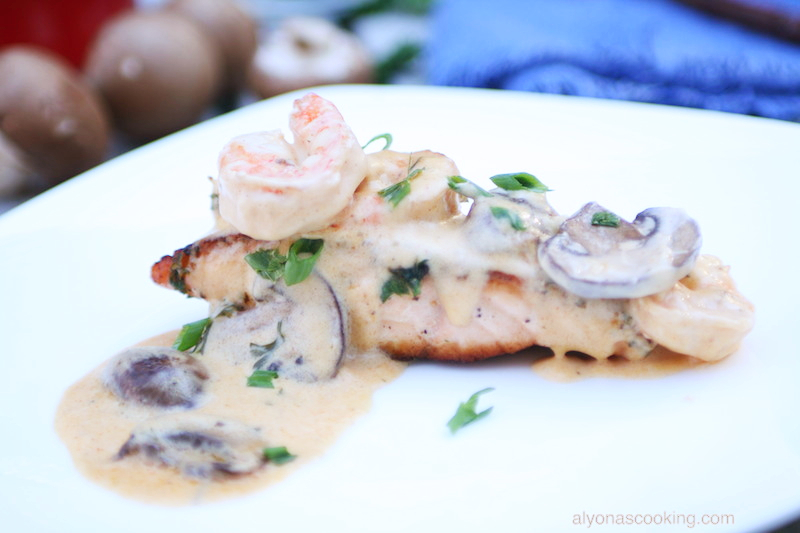 Heat a large non-stick skillet over medium high heat and sauté the mushrooms until tender and reduced in size. Set aside. 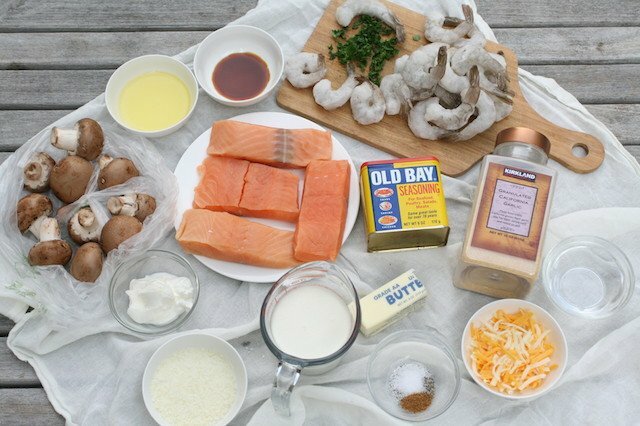 Remove the shrimps and set aside. Making sure the heat is on high, sear the salmon fillets for 3-4 min on each side. 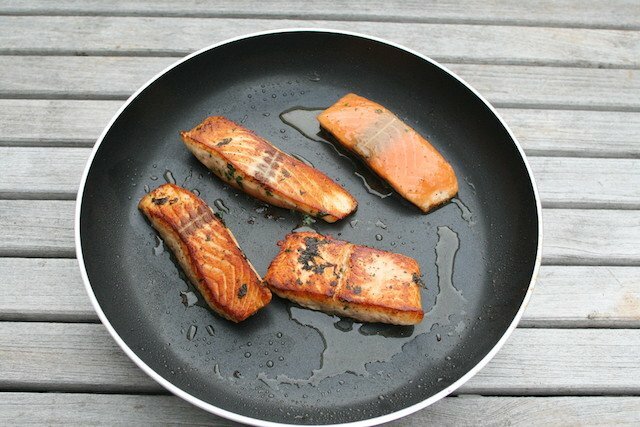 You can reduce the heat after you have placed the salmon on the skillet just keep your eye not to burn the fillets. This technique helps with a nice crust. Remove the fillets and place on paper towels; set aside. Add 1/3 cup of water and 1 tbsp of fresh parsley; stir to combine and allow to heat through over med-low heat. 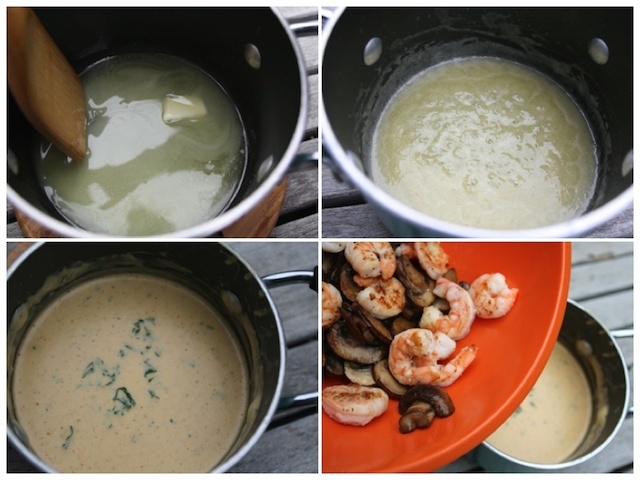 Add the shrimps and mushrooms. Turn off and keep warm until serving. 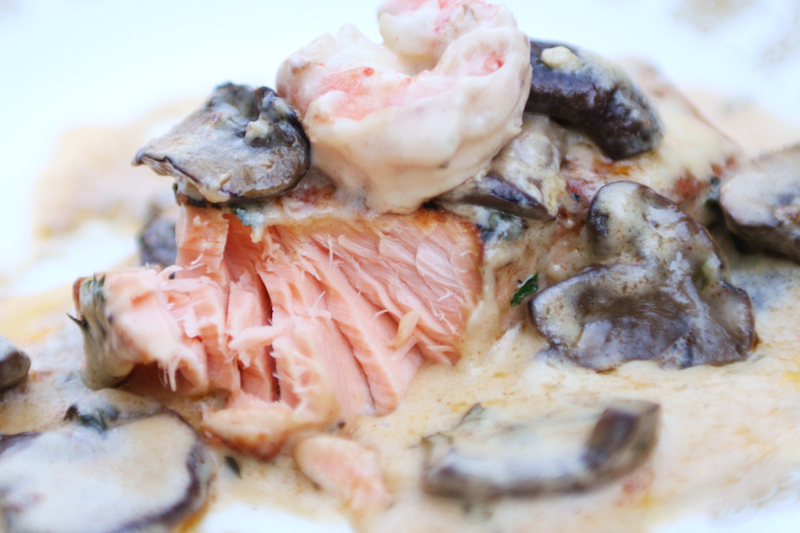 To assemble; place a salmon fillet onto a plate and ladle the Alfredo sauce generously over the fish. Sprinkle with green onions and enjoy! 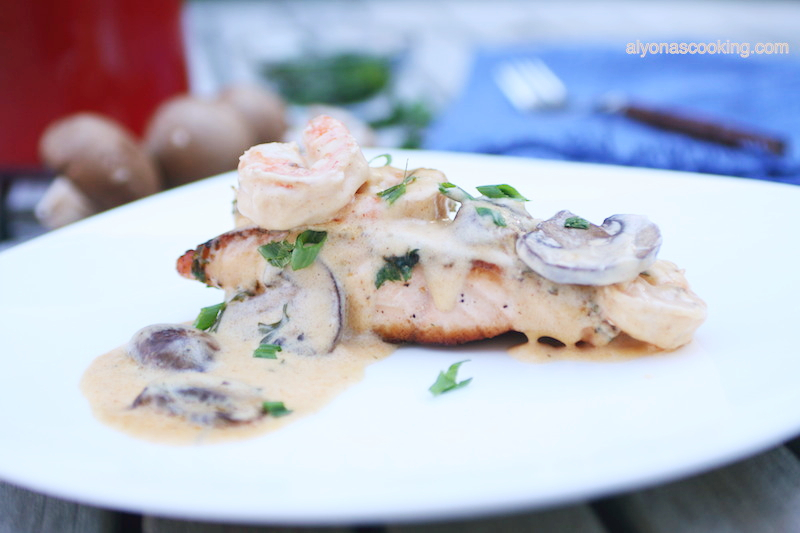 I'm not really a big fish eater, but Salmon with a Seafood Shrimp & Mushroom Alfredo taste amazing! 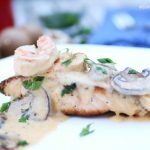 Atlantic salmon fillets are seared, then topped with a creamy alfredo sauce and it makes an absolutely delicious meal.